Laura and Dan Courser are a less than perfect, but deeply passionate couple with two young children and lots of plans. Until Dan, displaying the boyish bravado that made Laura fall in love with him, takes the tiller of a boat he can't handle and causes the accident that shatters their lives. Suddenly there are no more ordinary days or nights. And, in a story filled with astonishing revelations, we witness two people wrestling with a marriage in which all the rules are changed, confronting the guilt and anger, devotion and desire that don't merely survive...but can help heal the wounded heart. Rosellen Brown creates a compelling portrayal of a family torn apart--and perhaps put back together again--by love. 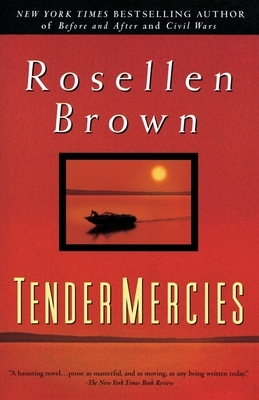 Rosellen Brown has published widely in magazines and her stories have appeared frequently in O. Henry Prize Stories, Best American Short Stories and Pushcart Prizes. One is included in the best-seller Best Short Stories of the Century, edited by John Updike. She has been the recipient of an award in literature from the American Academy and Institute of Arts and Letters and fellowships from the Guggenheim Foundation, the Ingram Merrill Foundation, the Bunting Institute, the Howard Foundation, and twice from the National Endowment for the Arts, and was selected one of Ms. magazine’s twelve “Women of the Year” in 1984. Some Deaths in the Delta was a National Council on the Arts prize selection and Civil Wars won the Janet Kafka Prize for the best novel by an American woman in 1984.